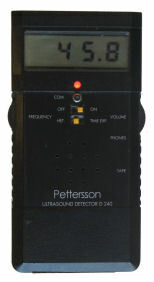 Since the founding of Pettersson Elektronik in 1983, many different detector models and other products have been developed. 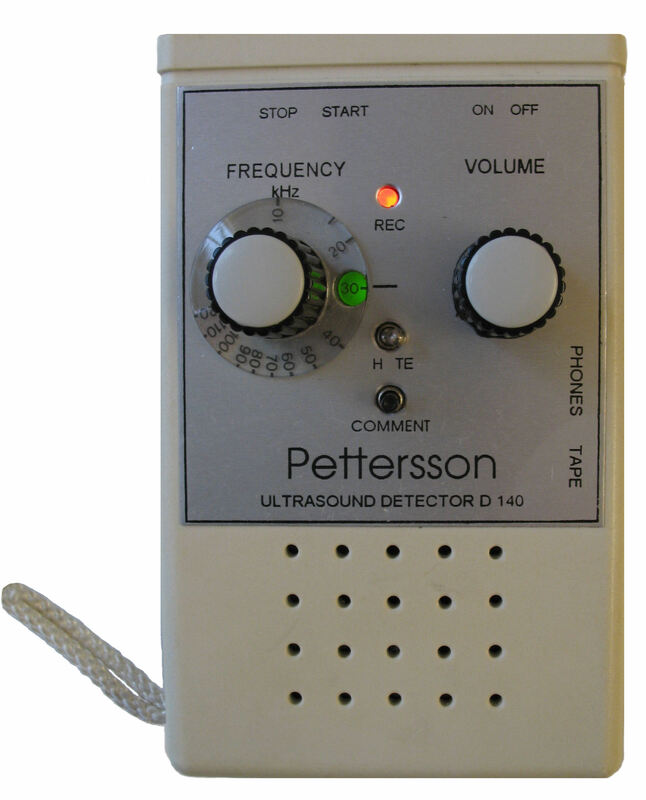 Here we present some of the Pettersson products from the past. Please note that these products are no longer available for sale. 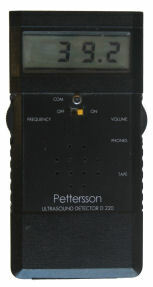 Description: The D920 was the first Pettersson detector ever. 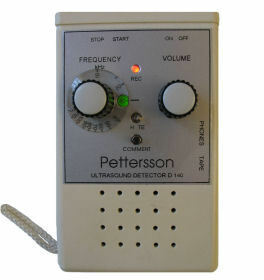 It was a frequency division ("divide by ten") detector with retained amplitude, so the amplitude of the output signal closely followed that of the original, ultrasonic signal. A digital display indicated the frequency in kHz of the most recent signal pulse. 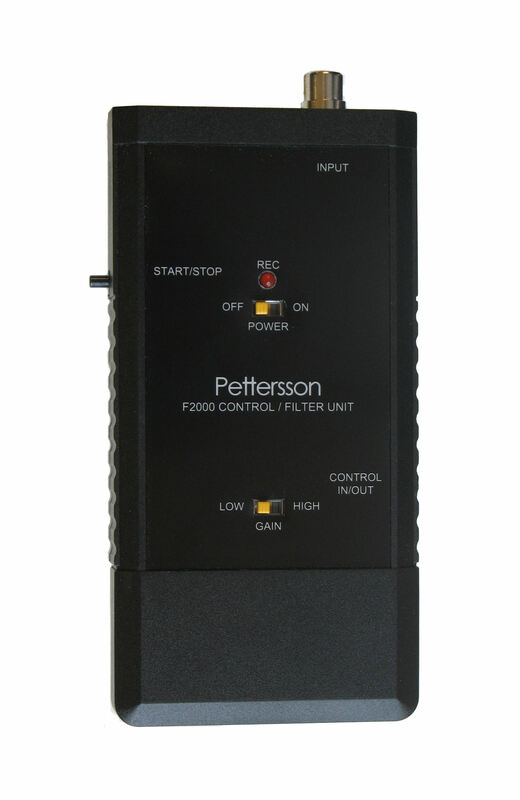 The D920 used the first generation Pettersson capacitance microphone. 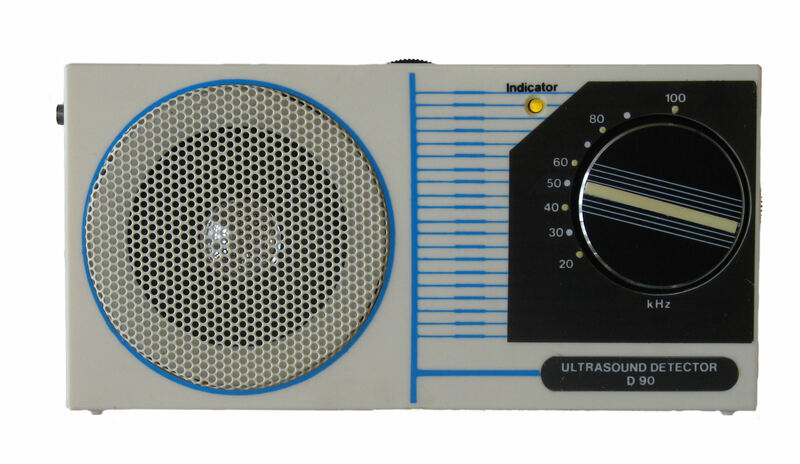 Description: The picture shows the first generation D940, which was based on the same type of frequency division system as that found in the D920, with 1/10 or 1/20 division. In addition to this, a heterodyne system with accurate digital display (unusual at this time!) was available. The microphone was a high-sensitivity capacitance type, the same as that of the D920. The second generation D940 was based on the D980 (see below), but without the time expansion system. This D940 had a "scanning heterodyne system" that stopped scanning and locked to that frequency when a sound was detected. 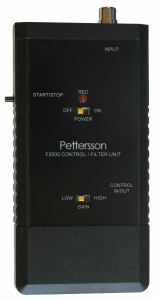 Description: The LP900 comprised both a DOS-based sound analysis software and the LP900 A/D interface (see picture). The LP900 software was the predecessor to BatSound, but with much less sophisticated functionality. At the time the LP900 was introduced, sound cards were unusual in PCs which is why the LP900 A/D interface was used. In LP900 version 3, support for SoundBlaster sound cards was added and the LP900 A/D interface was no longer needed. Version 3 also supported a few A/D interfaces that could be connected to the parallel port of the PC. Description: The D960 was based on the first generation D940 (heterodyne and frequency division systems), with a separate circuit board to add a time expansion system (x10). In order to house the extra circuit board, the D960 enclosure was a bit thicker than that of the D940. The sampling frequency of the time expansion system was 350 kHz and the storage time 0.75 sec. As to the best of our knowledge, this was the first commercially available time expansion ultrasound detector. 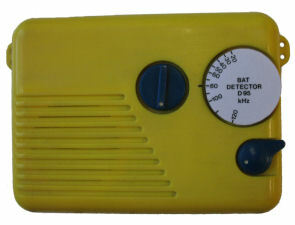 Description: The D90 was a basic heterodyne detector, made from a modified radio receiver. It was available in different colors (black, white, red and blue). It was succeeded in 1991 by the D100. Description: The D95 was similar to the D90. It was also made from a modified radio receiver, but came in a weatherproof housing. It was available in yellow and blue. It was succeeded in 1991 by the D100. Description: The D980 was introduced in 1991 as the successor to the D960. Like the D960 it had heterodyne, frequency division and time expansion (x10) systems. The size was smaller and the power consumption much lower compared to the D960. The D980 had a "scanning heterodyne system" that stopped scanning and locked to that frequency when a sound was detected. The sampling frequency of the time expansion system was 350 kHz and the storage time 3 sec. 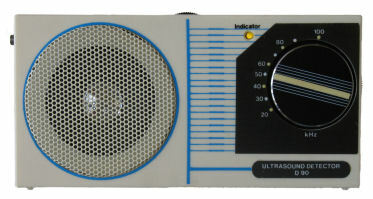 The time expansion system could be used in manual or "auto-arm" level-triggered mode, the latter making it possible to automatically capture bat calls as they appeared and optionally store the time expanded calls on a tape recorder. 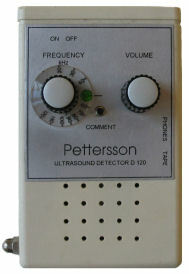 The microphone of the D980 was a second generation Pettersson capacitance microphone. The D980 was later available also with a 12 sec memory. A special version of the D980 had selectable time expansion factor (x10 or x20). The D980 was succeeded in 2005 by the D1000X. Description: The D120 was a heterodyne detector with two channels - a stereo version of the D100 detector. 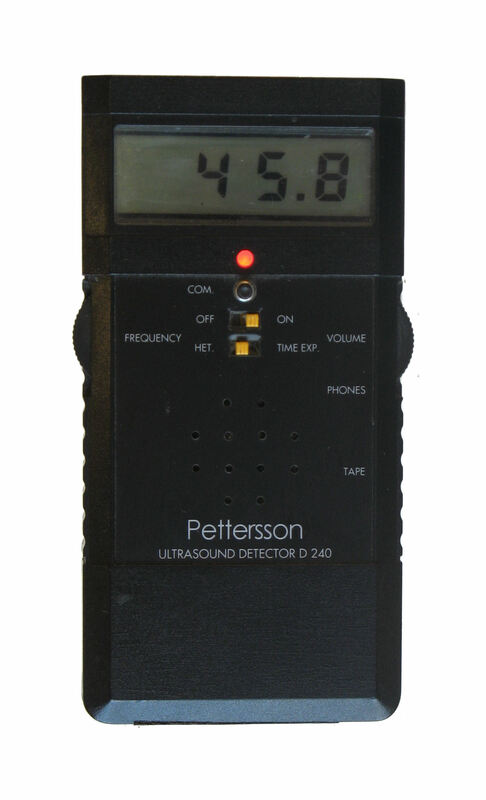 Using a stereo detector with stereo headphones makes it easier to locate a flying bat. 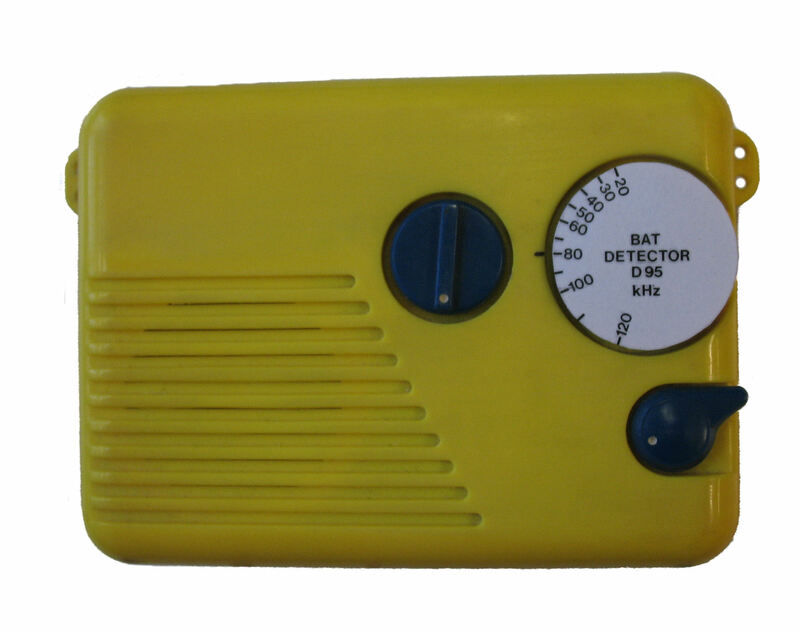 Description: The D140 was the first "small form factor" time expansion detector and became very popular. It had both a heterodyne and 10 x time expansion system. The sampling rate was 300 kHz, and the storage time 0.87 sec. Description: Just like the D140, the D240 was a heterodyne and 10x time expansion detector in an even more compact enclosure. The storage time was twice that of the D140, 1.7 sec and the sampling frequency 300 kHz. 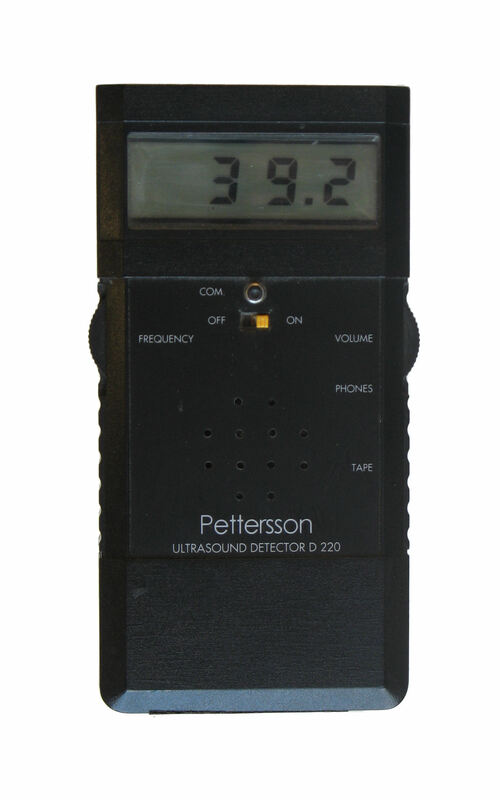 Description: A stereo version of the D200 detector, similar to the D120 but in a much smaller package. 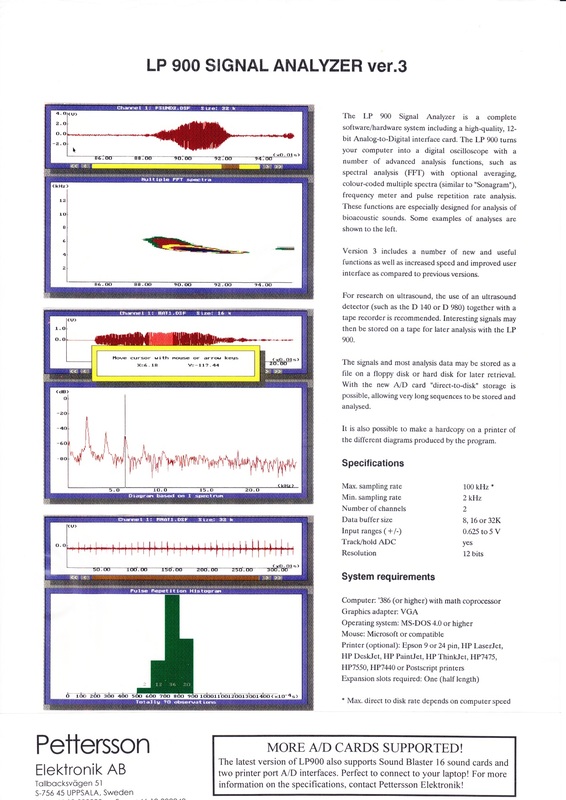 Description: Some of the early versions of our sound analysis software BatSound supported certain high-speed PCMCIA "sound cards" (data acquisition boards), which could be used in laptops, making it possible to record ultrasonic signals directly with the computer. Typically, the "direct output" (amplified microphone signal) of a bat detector was used as source and this was connected to the F2000, which in turn was connected to the high-speed sound card. The F2000 contained an amplifer and an anti-aliasing filter. There was also a push-button with associated control circuitry that could be configured to start and stop the recordings with the computer, without accessing the keyboard or touchpad of the computer. Setting up the high-speed data acquisition boards could be quite challenging and since there are now other, much more convenient ways to record ultrasound directly (e.g. using a D500X or D1000X detector), support for the high-speed data acquisition boards was excluded in BatSound version 4.